This was a project done by an illustration student (Rachel Walsh). She was given an assignment to “explain something modern/internet based to someone who lived and died before 1900″. I think she did a very good job! 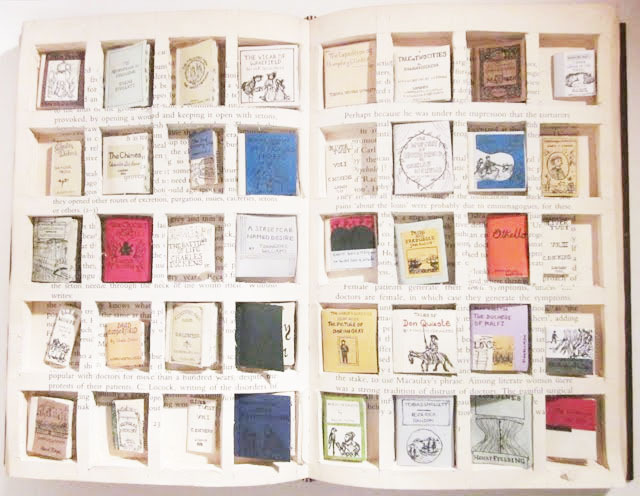 40 small books in one large one. I totally agree: she did a very good job. That is so neat! I wish I'd come up with ideas like that. Woah! I love that! How creative!